Before commencing tiling, the pool should be tested to ensure that it is watertight, and any necessary repairs should be carried out using the appropriate methods. On no account should the tiling be viewed as a method of waterproofing the pool. 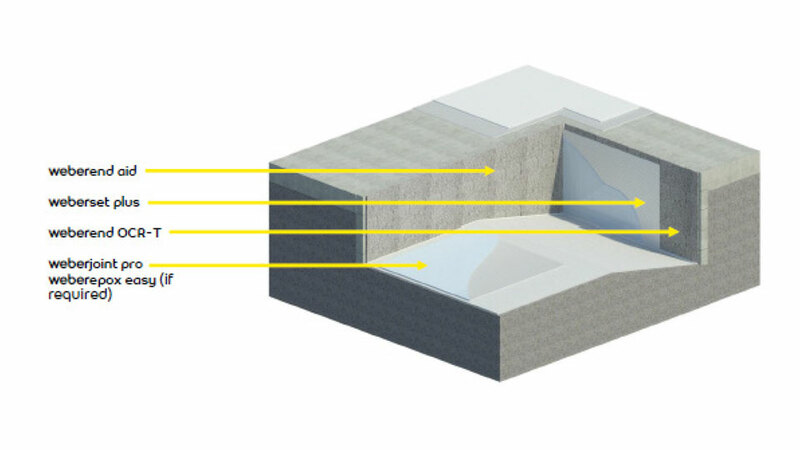 If the concrete shell has a smooth finish, tiling may be applied directly to it, otherwise it should be rendered and screeded. The surface to be tiled must be clean, smooth, dust free and free from imperfections. Fix the tiles with weberset SPF or weberset plus, recommended for use in swimming pools. Use the solid bed method, pressing the tiles firmly into the adhesive to ensure that there are no voids behind them. Back buttering the tiles is good practice when tiling a swimming pool shell, this is to help eliminate the possibility of voids behind the tile. It is also good practice to occasionally lift a tile to ensure a solid bed is being achieved. Wipe away any excess adhesive from between the joints. In the pool lining around the pool perimeter at the junction of the bottom and sides, at vertical corners and at any change of plane. If the joints between tiles are less than 6mm wide, insert additional movement joints down the pool sides and across the bottom at a maximum of 6m intervals. 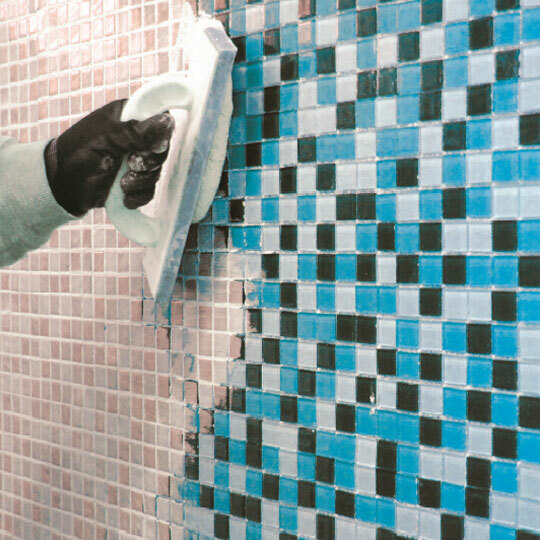 Although a cement-based grout may be used, it will gradually become damaged by corrosion from the pool water and by erosion from water movement and cleaning, for this reason it is better to choose a grout with a high level of redispersable polymer included in the powder such as weberjoint pro. Epoxy grouts are also recommended as their longer working life outweighs the higher initial cost. This is especially so for salt-water pools. Pools surrounds are particularly sensitive areas where the above requirements also apply, due to the alternate wetting and drying and high frequency of cleaning. These time periods should never be reduced but may need to be extended in wet weather. If the shell of the pool requires rendering before tiling we would recommend using weberend OCR. For further information The Tile Association (TTA) have produced a range of comprehensive documents including tiling advice for swimming pools.